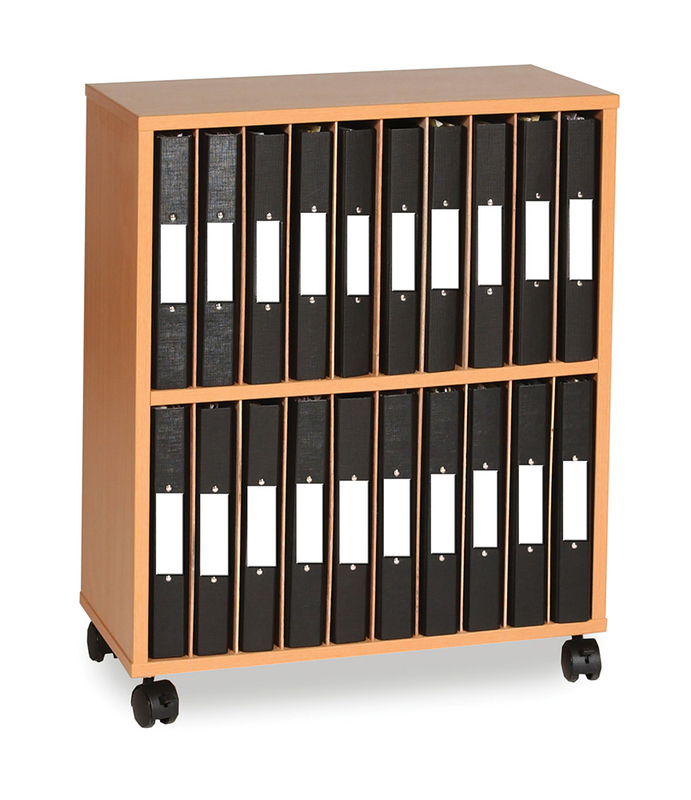 The ring binder storage unit has been designed to hold and store 20 A4 ring binder folders. Perfect for use within schools, offices and classrooms. Constructed from durable 18mm MFC in a modern and fresh beech finish. Supplied with easy glide castor wheels for smooth mobility. Please note: the ring binders featured in the product image are not included. For more information please Contact Us or call us on 01733 511121.